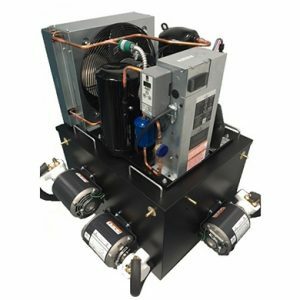 Glycol Cooling Units are secondary self-contained refrigeration units that circulate a water and a food grade anti-freeze (glycol) coolant through an insulated beer line bundle creating contact refrigeration between the coolant and product lines. 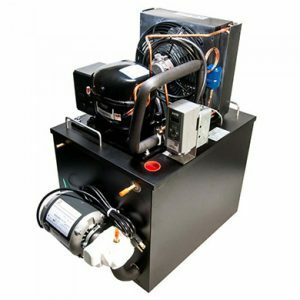 The secondary refrigeration unit is only designed to maintain the product temperature from the time it leaves the barrel storage area until it arrives at the point of dispense. 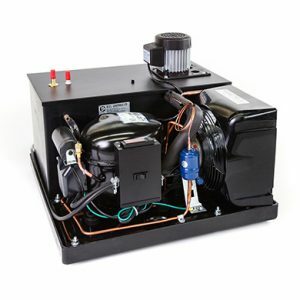 Custom Beverage recommends glycol cooling for remote draft beer systems. 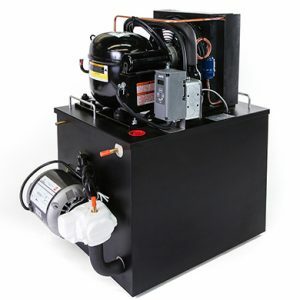 These self-contained refrigeration units cool a bath of glycol to a temperature of between 28 – 31 Degrees Fahrenheit. 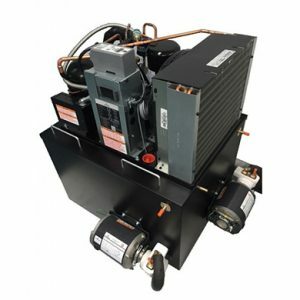 Then a circulator pump on the unit will move the cold fluid through the beer lines to create contact refrigeration with the product lines in the beer line bundle. 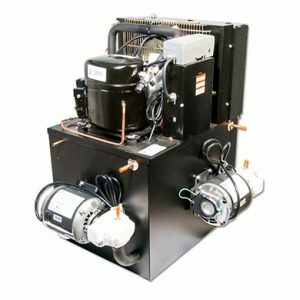 The refrigeration will cycle on and off per a thermostat sensing the bath temperature, while the circulation pump runs 24/7 to create the most consistent bundle temperature possible.